Stone fruit is clearly in season and flooding the market as delicious punnets of plums, apricots, nectarines and peaches have even made their way all the way to Singapore. They’re also being sold at very reasonable prices rather than the usual bargain price of just £3 for one solitary peach. So unsurprisingly I’ve been making the most this and snapping up as much as I can possibly eat….and sometimes far more as my eyes have always been bigger than my stomach. Today’s recipe is the happy result of an over-enthusiastic plum purchase. Whilst I love them, let’s be honest, there are only so many plums a girl can consume in a day so the only logical answer to deal with 20+ plums in the fruit bowl was to bake with them. 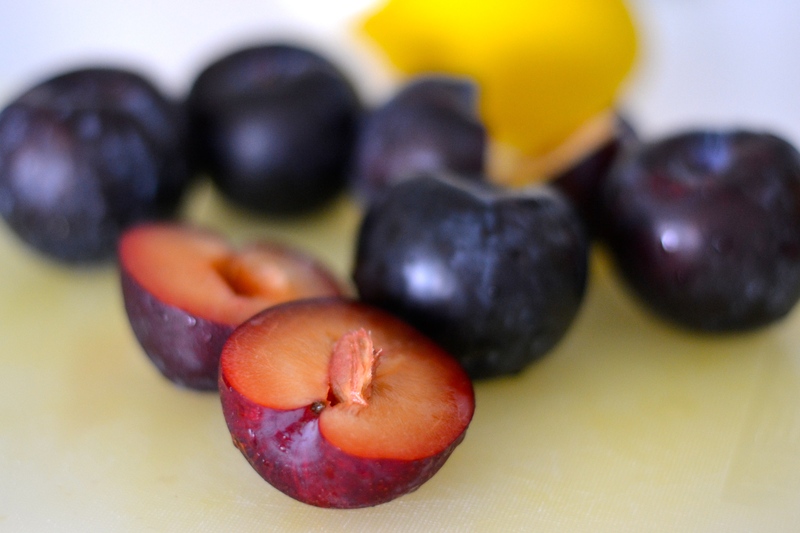 I found this delicious looking recipe for Purple Plum Torte on the Smitten Kitchen thanks to an Instagram post. 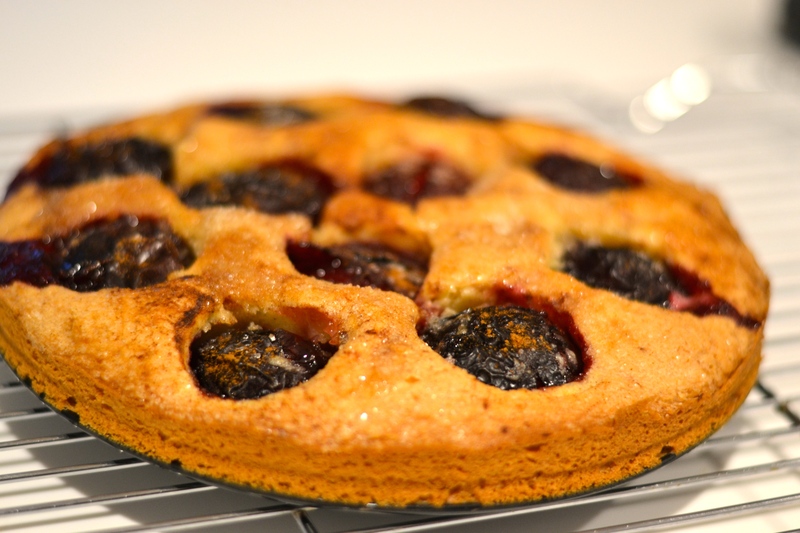 And apparently this isn’t just an ordinary plum torte; it’s a famous plum torte. After first publication in the New York Times in 1983 by Marian Burros, it proved so enduring and popular that it went on to be re-published every year thereafter until 1995. With a history like that and further ringing endorsements from the Smitten Kitchen, it was the obvious choice for using up my glut of plums. It sounded divine and divine it proved to be. The cake batter itself is incredibly simple to whizz up with only 6 ingredients. 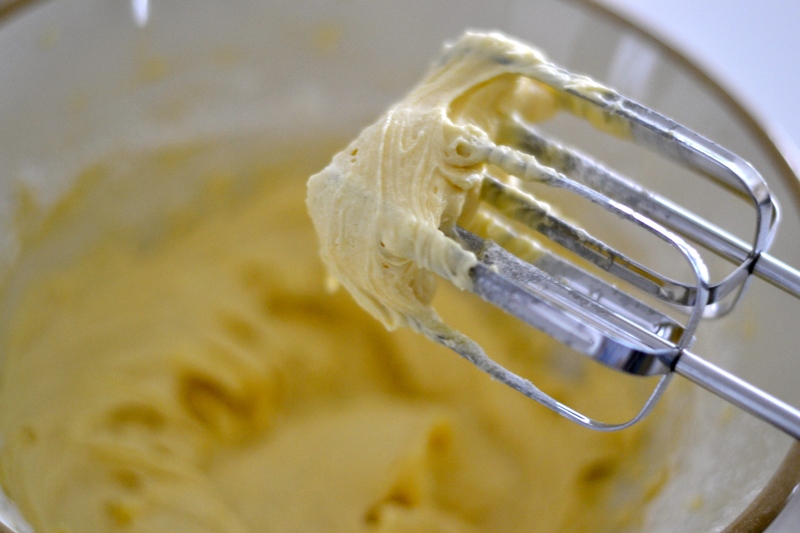 It doesn’t sound too exciting – just a plain buttery cake batter. But once it’s risen up around plums that are baked to gooey, juicy perfection and the cinnamon sugar has mingled with the juices to form delicious syrupy pools around the plums, it’s an altogether more exciting prospect. In my version of the recipe I’ve cut down on the amount of sugar used on top of the cake. The original version stipulates 100g, however I only used half of this and found the end result to be a winner, though feel free to up this to the original 100g if you have a sweet tooth. I’ve also stuck with the adaptation made by the Smitten Kitchen to use 1 tablespoon of cinnamon on top rather than the original 1 teaspoon as I love cinnamon. Again, if you’re less of a fan or want a more subtle spicing, use just 1 teaspoon. There is only really one downside to this cake, and that’s that it tastes so much better if you can wait for a day before tucking in. 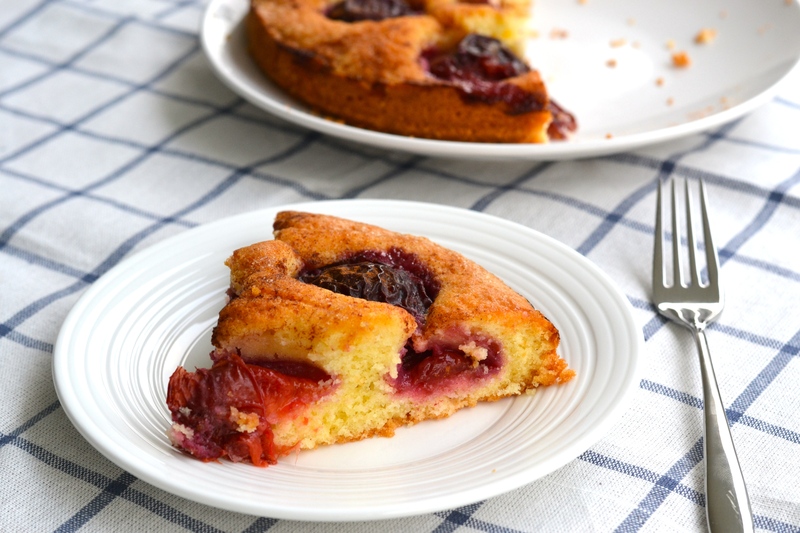 All of those plum juices mingle with the cake and turn into a jammy delight nestling around each of the plums, which, once you’ve tried it, you’ll agree makes the wait a definite must. It also tastes just as good on day 3 though I’m afraid I can’t comment on day 4 as we’d munched the lot by then. Serve in hearty slices either for dessert (slightly warm with ice cream or clotted cream is divine) or just by itself as an afternoon treat. Pre-heat the oven to 180°c/160°c fan/350°f. Lightly grease a 9 inch/23cm springform cake tin (Smitten Kitchen says not to grease but I was too chicken not to!). In a large bowl, cream together the butter and 100g sugar using an electric mixer until fluffy and light in colour. Add the eggs one at a time, scraping down the bowl in between. Sift in the dry ingredients and mix until just combined. Spoon the batter into the cake tin and smooth the top. 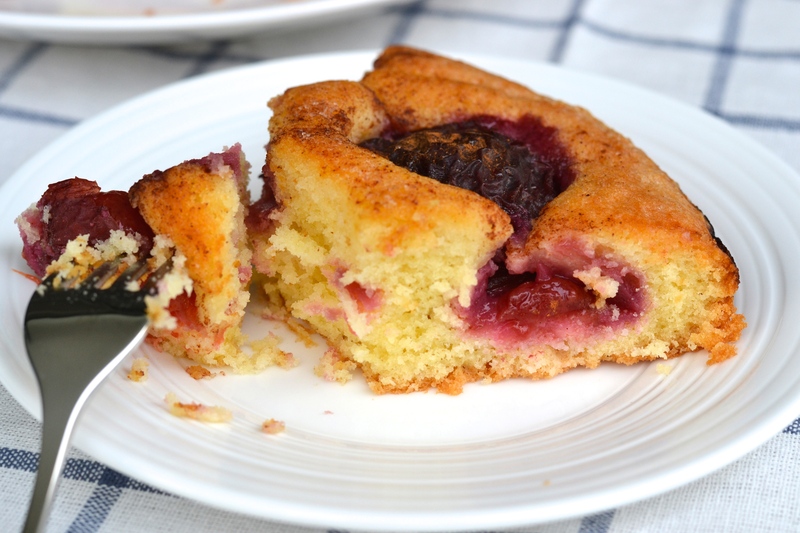 Arrange the plums, skin side up, all over the batter so it’s basically covered – the more the better. Sprinkle the top with lemon juice, then cinnamon, then the remaining sugar. Bake for 45-50 minutes until the cake is golden and a toothpick inserted into a centre of the cake comes out free of batter (but of course not plum juice). Leave to cool in the tin for 5 minutes before turning out and fully cooling on a wire rack. You can eat the cake immediately but do try to wait at least until the next day when it will taste even better. Cover and leave a room temperature and the cake will keep well for at least 2 days.